If there’s anything Star Wars fans know about Gareth Edwards, it’s that he’s a very hands-on director. A recent demonstration shows how Industrial Light and Magic found a way to bring Edwards’ physical camerawork to the digital stage for Rogue One, using virtual reality. BBC Click shared a visit to ILM London to get a behind-the-scenes peek at Rogue One’s digital prowess, in the wake of its Visual Effects Oscar nomination. During the interview, computer graphics supervisor Steve Ellis discussed how much ILM admired Edwards’ ability to get physical with his camerawork on set, and revealed that the visual effects advisor wanted him to be able to do that digitally. 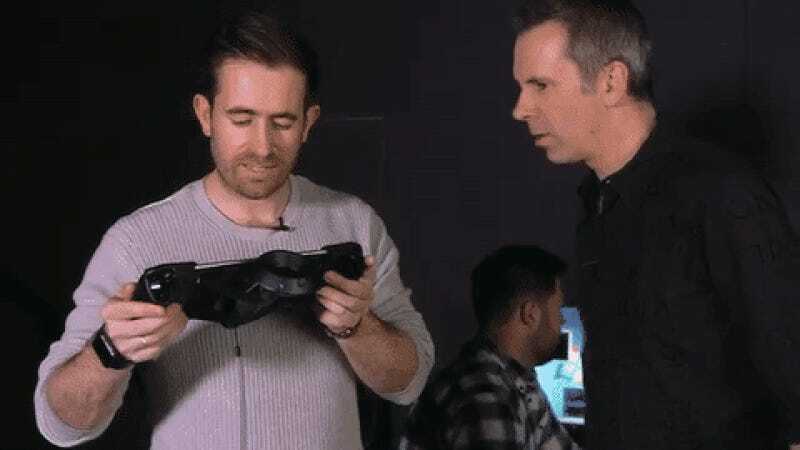 So, they created what Ellis called a real-time virtual reality system, which was basically an iPad hooked up to an HTC Vive virtual reality controller. They’d pull up a digital scene for him, like the Star Destroyer’s scary reveal at the newly constructed Death Star. Then, using Steam VR tracking, Edwards would physically move the screen around, pinpointing what angle he’d want the shot to begin at and where he would want it to end up. 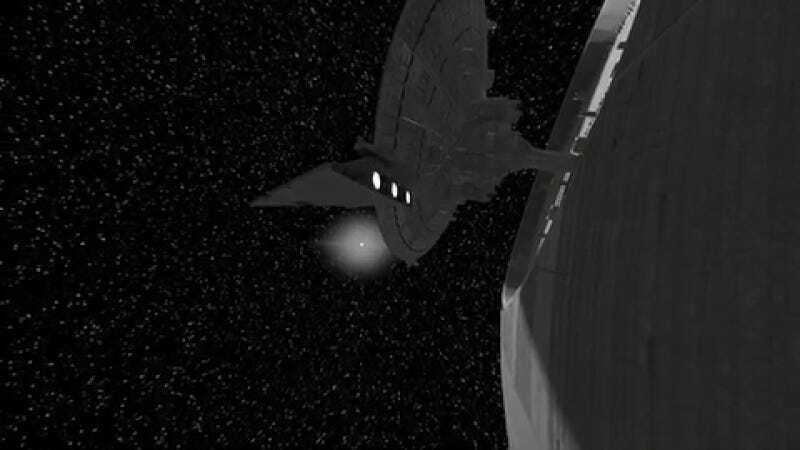 The VFX artists would map out the scene’s progression to match. This kind of filmmaking isn’t new. Peter Jackson used a form of augmented reality to direct VFX shots for Lord of the Rings, and a lot of advancements in simulcam tech were developed for James Cameron’s Avatar. However, Rogue One’s VR work is something else entirely... mainly because it’s so accessible. Thanks to the advancements in virtual reality, ILM was able to rig a basic tablet to a consumer-grade VR device and digitally direct a multi-million dollar picture. Director Jon Favreau said he’ll be using similar VR tech for digital site scouting and shot planning for the live-action The Lion King movie. It’s kind of incredible how VR you could purchase at Best Buy helped make the movie such a success. Rogue One’s final battles are some of the most dynamic scenes in Star Wars history, digital or physical. Edwards may have been using a fake camera, but the movie magic was entirely real.